Picture this: It’s finally the weekend. On Saturday morning, you pack your pup into the car, venture out into nature, and embark on a 10 mile hike. On Sunday you have a morning run together, then head to the dog park for a serious game of fetch and some playtime with the other pooches. But once Monday hits and your 9 to 5 kicks in, you’re lucky if you can squeeze in a short daily walk with your dog on the weekdays. Sound familiar? If so, your dog is what we call a “weekend warrior.” This term is used to describe pups who do little physical activity during their parents’ busy work week, and then go hard on the weekends with intense and strenuous physical activity. The problem with weekend warrior syndrome is that when dogs are exercised so inconsistently, their bodies are not conditioned to handle the demands of intense activity on your days off (even though they are usually more than happy to try). The result is sore and achy joints, or even worse, serious injury. 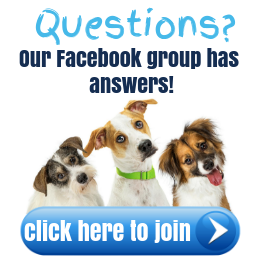 So how do you avoid joint issues in your pup while still enjoying quality playtime together on Saturday and Sunday? We’ve rounded up our top 7 tips to keep your weekend warrior in the best shape possible. 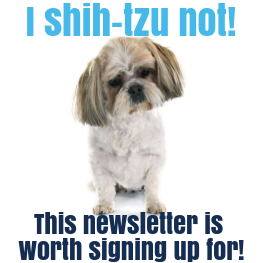 The best thing you can do for your dog is to avoid weekend warrior syndrome in the first place. This does not have to be a huge commitment – all you need to do is provide about 10 minutes of high intensity activity at least 2 times during the week. For example, you could play a few rounds of fetch in the backyard after work, or sprint your dog up and down the street before your morning shower. 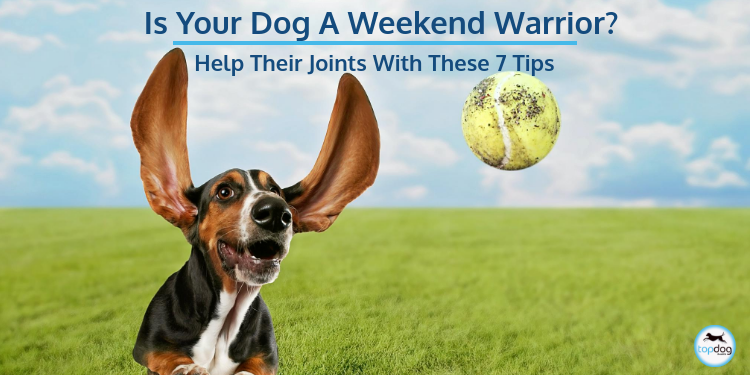 This type of consistent conditioning will ensure your dog’s joints can handle the weekend fun. This one’s a no-brainer. You wouldn’t take off at a sprint without first taking a jog around the track, and the same goes for your pup. All they need is a few minutes of warming up, gently increasing their heart rate and circulation, which loosens their joints and increases blood flow to their muscles. So let your dog trot around the park before you throw the ball, or start out at a slow jog before you two break into a run. Before you head out with your pup for some weekend fun, think about how the type of exercise they’ll be enjoying is affecting their joints. Are they running on firm pavement? Are they jumping high and landing hard? If so, think about exercising them on soft grass, or not throwing the ball so high. When it’s warm out, think about taking them for a swim, which is an absolute dream when it comes to a dog’s joints. It’s low-impact, non-concussive, and non-weight bearing, meaning it allows your dog to enjoy all the benefits of movement and activity without putting stress on their joints and tendons. This one may seem out of left field, providing a high-quality joint supplement that includes green lipped mussel oil is one of the best (and easiest) things you can do for your weekend warrior’s joints. While most pet owners typically have an idea that omega-3 fatty acids are good for their dog’s joints (which is certainly true), the go-to tends to be fish oil. But while fish oil only has two kinds of omega-3 fatty acids (EPA and DHA), green lipped mussel oil also has a third: ETA. 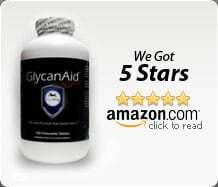 ETA not only helps block the enzymes that contribute to inflammation, it actually goes one step further to lower the production of these enzymes at the gene level. 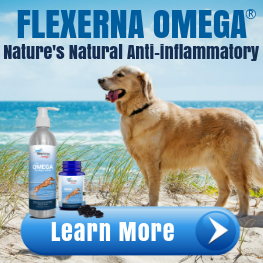 Adding just one or two pumps of Topdog’s Flexerna green lipped mussel oil supplement to your dog’s food once a day will mean less inflammation and reduced risk of pain and injury for your beloved pup. Proteins are the main building blocks of the body. They are used to build and repair muscle and other body tissues. And when a dog’s muscles are strong, their joints are protected. Generally speaking, you don’t have to worry about giving your pup too much protein, but it can be hard to know exactly how much, and what type, of protein they need. We break it down for you here, and provide 3 protein packed homemade treat recipes your dog will love. Doing some simple stretching exercises with your dog, especially after a burst of intense physical activity, will help increase their joints’ range of motion and reduce the risk of injury. You want to focus on stretching 3 key areas: the hips, shoulders, and back. For the best stretch success, think consistency (rather than intensity), go slowly and gently, and never do anything that seems to make your dog uncomfortable. Get step-by-step guidance on how to perform our 3 favorite joint stretches here. This is one we can’t stress enough. Many pet parents believe that having an overweight pet is no big deal, but the truth is that carrying even a few extra pounds puts strain on your dog’s joints. That added weight means more pressure on their joints, which causes the cartilage that acts as cushioning between their bones to gradually wear away. This can lead to painful inflammation and even arthritis. Plus for your weekend warrior, running and jumping on joints weighed down by extra pounds leads to an increased risk of injury. These 7 simple shifts can make a huge difference when it comes to keeping your weekend warrior happy and their joints healthy. 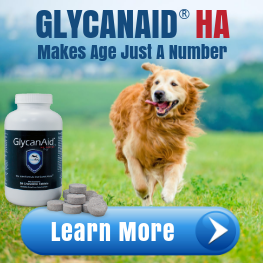 Plus, they will help you get proactive about preventing injury and slowing the progress of degenerative joint diseases like arthritis, which hugely affect your dog’s quality of life. So with these tips in mind, get out there and enjoy the weekend fun you both live for.